Modern material technology - a ready-to-use, castable, applied finish, composite dry mix material. Strong, lightweight, white (or coloured), solid moulding and applied finish coating material - a Polymer/ reinforced exterior / interior advanced composite substance. The density of hardened cemlite® is approximately 1300 kg per cubic metre ie SG: 1.3. Please remember to always test first! Trials are essential before actual use. In comparison to even the lowest strength grade of normal weight pre-mixed concrete, most lightweight building materials do not have high mechanical strengths. Examples: polystyrene foam, vermiculite, autoclaved foamed concrete products, aerated concrete etc. cemlite® is not one of these. cemlite® is a unique experimental, developmental, white high strength, acrylic polymer resin reinforced, cement bound, lightweight composite formulation invented in 1996 by Ability’s Robert F Barber and supplied by Ability on firm advance order in powder form. Free testing samples are available upon request. This ready to mix with water product is intended for use as an easy-to-prepare, low density but strong, mouldable, castable, pumpable, extrudable and easily sculpted material (by hand applied lay-up techniques onto an armature) which upon setting and hardening becomes a lightweight hard, very strong load bearing, weather resistant, insulative (heat/cold and sound), advanced composite, vitreous like material or an ultra lightweight load bearing construction ‘concrete’. For use cemlite® powder is simply mixed thoroughly into a specific relatively low proportion (25% by weight) of clean drinkable water to an ‘almost flowable’ consistency before pouring into suitable moulds / formwork or applied to other materials. 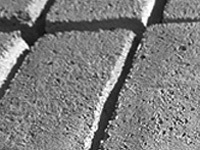 cemlite® which incorporates E-Spheres®* is suitable for use by pre-mixed concrete suppliers as an ultra-lightweight, pre-mixed structural concrete or it may, after proper trials, be mixed in the required proportions into normal grades and classes of pre-mixed concrete to make them lighter in weight - the reduction in weight depending upon the proportion of cemlite® compared with the total of the other concrete constituents. cemlite® when thoroughly mixed into the recommended amount of drinkable water sets and hardens to ‘ceramic’ hardness at normal ambient temperatures to a porcelain-like material. There is therefore no need for a high temperature kiln or the purchase of energy to operate it as is required for baked clay kiln fired products and materials. *E-Spheres® are strong, lightweight, white, hollow ceramic microspheres and macrospheres or structural lightweight aggregates for concrete, mortars, coatings, adhesives, sealants, caulks, baked clay products and materials etc supplied exstock, West Heidelberg, Victoria by Ability in a number of particle size grades. E-Spheres® is a Registered Trade Mark of Envirospheres Pty Ltd, Sydney, NSW. Six (6) different particle size grades are available from Ability. A cemlite® / water mixture alone may also be used in typically smaller volumes to make many other lightweight, strong building, industrial or consumer products and sculpted art objects for either exterior or interior use. Lightweight wall and floor tiles, columns, beams, thin strong lightweight pavers and flagstones, durable lightweight roofing tiles, strong, light pit and access hole covers, special lightweight insulative bricks/blocks, lightweight in situ tilt-up or precast building panels, precast lightweight noise reduction wall panels for roads and freeways, strong, lightweight window frames, doors, picture frames, wall plaques, gnomes and decorative garden products etc . Also as very strong approximately half weight alternatives to all standard weight pre-cast concrete cladding/façade panels for buildings, floors, other normal weight concrete (density approximately 2400kg/m3) products, preformed industrial/engineered moulded sections, units, construction panels and building shapes, as well as strong, UV resistant coloured lightweight ‘concrete’ kitchen and bathroom bench tops, tradespersons work benches, other furniture, statuary, sculptures and free-standing objets d’art. With suitable reinforcing fibres or mesh fabric netting added into or encapsulated within a cemlite® mix by a suitable method cemlite® may be suitable as a preferred alternative to some plastic or resin bound materials/products - especially for reinforced plastics such as polyester resin bound glass fibre ‘fibreglass’ and epoxy resin bound products and materials. A 20 kg net paper sack of cemlite® strong lightweight composite moulding material powder, intensively well mixed into 5 litres of clean, drinkable water gives, a volume of 19 litres of mouldable, trowellable, 'plastic' liquid which sets in about three (3) hours at 23C with a relative humidity (RH) of 50% and hardens to a solid strong, lightweight cemlite® composite having an SG, of 1.3 and weighing in at a little under only 1300 kg per cubic metre. Carefully and safely, add the powder to the indicated low amount of water (25% by weight of the powder) in a suitable self-contained high shear power mixer. A high powered, intensive, relatively fast forced action mixer with moving blades or paddles is far superior in mixing efficiency compared with a slow speed ‘cement mixer’ equipped only with baffles and certainly many times more efficient and quicker than if the product is mixed into the water proportion by hand. Add cemlite® powder slowly to this specified amount of clean drinkable water and mix well for a pre-determined number of minutes - even though at first the mixture is of a very ‘dryish’ non-plastic, ‘harsh’, ‘earth damp’ consistency which tends to ‘ball-up’ and ‘nodulise’ at the early stage of mixing. Please note that some patience is required! Then optionally add a selected Ability abilox® UV resistant mineral oxide colouring pigment powder (43 colours available in this range) to result in an integrally and permanently coloured material. Then mix well again without adding more water until the mixture becomes uniformly ‘plastic’ in its consistency. Cast the now relatively high slump, almost flowable, highly workable self-levelling cemlite® liquid 'plastic' mix into moulds or trowel apply it as a surfacing and compact it well by means of a spiked roller or a suitable vibration process to remove all air bubbles and voids which are counter productive to achieving the highest strength for the hardened material. Like normal concrete and unlike gypsum plaster, the complete hardening of cemlite® and the achievement of its maximum mechanical strengths does not occur immediately after setting. This chemical hardening process takes some time after the product sets and needs the continued availability of the remainder of the water used to mix cemlite® that has not been used up chemically in the initial setting reactions. To achieve the highest ultimate strength, it is therefore important to use a suitable procedure to prevent this mix water from evaporating. This procedure should be commenced immediately after the material sets, and continued for some days - at least 3 and if feasible - preferably 7-28 days. An easy method of efficient curing which may NOT be suitable for every cemlite® purpose is to immediately after it sets apply one thick coat of Ability’s Duro-Seel Clear liquid membrane curing compound coating by spray, brush or broom to all surfaces of the just set cemlite® material exposed to air. This coating should be applied at a coverage rate of no more than 5m2/litre. Duro-Seel Clear is available as a clear or coloured paintable liquid and its use as a non-water vapour permeable coating in this particular curing procedure retains about 90% of the mixing water in cemlite® over an extended period of time. Duro-Seel Clear is to be applied immediately after cemlite® sets - thus preventing the mixing water from evaporating and allowing almost all of it to chemically hydrate with the cementitious binder components to form the strongest of hardened ‘glues’ (2 pack slow chemical hardening system). This cured 'glue' ultimately permanently binds the cemlite® composite with the highest adhesive properties and provides it with exceptional hardness, toughness, water-tightness and high compressive strengths together with more than adequate tensibility and flexibility for most uses. Whilst it is not essential, it is for the best off-the-mould finish to store product moulds recently filled with liquid cemlite® which has subsequently set, preferably at a temperature of about 23°C - 25°C and a minimum RH (Relative Humidity) of 70% in the surrounding air for three (3) days or more before de-moulding the partly hardened composite product material. You can increase the humidity of the air in a room by placing some suitable sized containers of water in it. Do this or alternatively if involved with regular production of cemlite® articles you may care to provide an apparatus which sprays fine mist(s) of water regularly into the air - especially if you are increasing the room's air temperature by means of applied heat to decrease the hardening time. After de-moulding a product / article / unit, immediately cover it with damp towels, hessian or other suitable water retaining fabric and keep it damp for a few days. Alternatively, coat the whole product completely with two (2) coats of Ability’s Duro-Seel Clear - a combined curing compound and ‘same day’ sealer for concrete and mortars (Duro-Seel Clear is available in clear, ‘concrete grey’, white and 19 other standard colours and gives a low sheen finish). The first coat of Duro-Seel Clear should be allowed to dry well - at least overnight before the application of a recommended second coat, which is always recommended in terms of curing efficiency and durability of the cemlite® material - and especially the exterior durability of the Duro-Seel Clear coating itself. Provided that a relatively large quantity will be required, Duro-Seel Clear could also be made available, on firm advance order in a number of special pearlescent colours. These are suitable for coating integrally deep, dark ‘through’ coloured cemlite® surfaces to effectively obtain cemlite® product surface colours with various coloured lustre/shimmer (‘shot flopped’) colour effects. cemlite® advanced lightweight strong composite material may be integrally ‘through’ and permanently coloured with any of Ability’s extensive abilox® range of dry colouring UV resistant mineral oxide powder pigments. These can be optionally added during manufacture by Ability upon prior request in addition to or as an alternative for the abilox® Illumin-ite White (Titanium oxide based white) pigment which is most often used in the standard white product’s manufacture as its integral colourant. The latter permanently colours cemlite® white. The addition of other colouring pigments will usually result in pastel colours. In addition to the abilox® range of 'earthy' ochre colour shades, Ability also provides for cemlite® items intended for service in interior or UV protected exterior situations, bright and in some cases, vivid integral colourants. These are available in their duro® colouring pigment range. The maximum pigment dose rate recommended for either type of pigment is 10% by weight of the weight of cemlite® powder. Further information about these colourants is available upon request. cemlite® may also be surface coloured with dry powder pearlescent pigments. This is done by gently brushing a particular shade of Ability's Pearlescent pigments (6 available) onto the interior surfaces of a particular mould or formwork using a powder dusting (cosmetics) brush prior to casting prepared (unset ‘plastic’) liquid cemlite® into it. As well as giving attractive pearlescent lustre/‘shantung’, shimmering colour effects to cemlite® products, these fine but flat laminar particle Pearlescent powder pigments act as a very effective mould release agent - enabling hardened cemlite® moulded products to be de-moulded easily and quickly after setting if required. However, a procedure of efficient curing to keep the original mix water in the cemlite® and prevent it evaporating, should be adopted immediately after it sets as well as after de-moulding. Various pearlescent effects obtained from these light-fast nacre pearl-like effect pigments are similar to those currently used for pearlescent automotive coatings on modern cars. They are most effective in their pearlescent colouring effect when the cemlite® has been integrally (‘through’) coloured with an Ability abilox® pigment of a dark, deep shade - examples: abilox® Green Earth oxide, abilox® Baron Brown oxide, abilox® Black Iron Oxide CAF-X2 (to make a ‘charcoal’ colour) etc. • a slightly ductile and flexible nature. It has good mechanical strengths, with particularly high compressive and impact strengths and high weathering, abrasion and ferrous metal corrosion resistance. • a very hard, tough and wear resistant nature with an attractive integral or an applied surface colour coating and if required a shiny ‘polished’ (mono or multi-coloured ‘polished marble’) smooth finish from ‘off the surface’ of a suitable shiny surface form/mould**. • very long-term exterior durability potential with exceptionally high resistance to the weathering ‘elements’ and impermeability to wind driven rain. • Excellent watertightness and high impermeability to liquids. • the corrosion and erosion resistance of normal cemlite® reinforced with normal steel which has an adequate cover thickness over the steel should also prove to be very high. Test first. Stainless steel reinforcement may also be used which is a preferred option. • low shrinkage. With the optional requested addition of a suitable shrinkage reducing powder admixture for normal concrete such as Denka CSA*** during its manufacture at an additional cost, cemlite® should have virtually a nil tendency to shrink and crack. To confirm, test first. • good fire and high temperature resistance* (test first). The cemlite®HE product is the preferred option for high fire retardancy. Further information and independent test reports from Amdel Ltd can be supplied upon request. • can be cast with when necessary or if required with various forms of reinforcement into virtually any lightweight shape including structural columns, ‘T’ beams, lintels, statuary, monuments, panels, kitchen and bathroom bench tops, door and window frames etc, and trowel applied as lightweight thin interior ‘plaster’, exterior ‘renders’ - preferably onto affixedwall lathing, floor and pavement levelling screeds (over a variety of substrates including suitably prepared timber floors), as well as being poured and allowed to set into thick, standard or thin section load bearing strong, lightweight ‘concrete’ members and many other slender but strong durable articles, products and materials. • set and partially hardened cemlite® may be adzed, chiselled and sculpted into artistic shapes by means of it being used to replace dimension stone such as marble, limestone, granite, basalt (bluestone) or other natural stone at about half their weight! This is best done between two (2) to six (6) days after setting. cemlite® may be too hard for these procedures at later ages. • may be considered for use as an alternative to fibreglass and some other types of fibre reinforced plastic or resin bound composite reinforced materials and products when steel, alkali resistant glass, Kevlar® **** carbon or a combination of micro polypropylene and steel fibres are suitably incorporated in a prepared, well mixed cemlite®/ water moulding mixture. • because its wear resistance is potentially so high if moist cured to ensure that it attains its highest strength potential, cemlite® is possibly suitable as lightweight anti-friction materials and products eg for use as strong, lightweight automotive brake and clutch linings. Please read the information about the alternative Ability product called cemlite®HE which is the preferred option for this type of use. • cemlite® may also be used as a strong, tough, lightweight flooring / walling material for transport vehicles - especially for public use such as trams, trains, aircraft and caravans (trailers). • as potential alternatives to kiln fired ‘Terra Cotta’ clay, other baked clay, some ceramic and porcelain products and materials at normal average ambient temperatures without the need for their hardening by means of baking in kilns. • unlike plastics, (such as Du Pont Australia’s Corian® ****) resins, rosins, rubber and bitumen which are chemically organic and therefore subject to degradation by UV rays in sunlight, cemlite® like concrete, stone and rock is 95% inorganic. It therefore has the potential to last and last in exterior locations subject to UV rays from sunlight. Please remember to keep the water content low - as specified. As for normal Portland cement and gypsum plaster bound composites the lower the water content compared to a given amount of powder the higher are the mechanical strengths, shrinkage and resistance to cracking, exterior durability, impermeability, hardness, abrasion resistance, insulation qualities and long term performance of the final composite product. However, take care not to use too low a proportion of water, as the resulting mix may be unworkable. Ability’s high purity superplasticiser Cosmotron® DPU-AC - a rapidly dissolving powder super plasticising admixture for concrete and mortars is used in the cemlite® formula as a super water reducer for attaining a high slump, highly workable and mouldable consistency as well as a high degree of plasticity and flow with a minimal amount of water and without adding any extra water. The typical slump for high workability/consistency cemlite® thoroughly mixed using a high shear, forced action mixer with moving blades or stirrers with the recommended low water content is approximately 100mm but this is only achieved after thorough mixing for an adequate time ie always mix cemlite® thoroughly. *Please note: Ability's alternative cemlite®HE (High Early) product has very high fire retardancy, high resistance to shrinkage, high resistance to chemicals, high temperatures and it sets, hardens faster than cemlite®. Further printed information including independent laboratory test reports and free samples are available upon request. to de-moulding, its surface is typically a perfect ‘mirror’ image reproduction of a particular mould’s surface characteristics, eg if it is cast with adequate compaction by a vibration process to remove air bubbles against glass, cemlite® will have an attractive shiny glass finish which is highly impermeable to water and many other liquids. ***Denka CSA is a powder shrinkage reducing admixture for Portland cement bound concrete and mortars manufactured by the Denka Co in Japan and available from Mitsui & Co (Australia) Pty Ltd, PH: (02) 9256 9500. ****Trade mark of Du Pont de Nemours Inc, USA. WARNING! - If extra water is used over and above the recommended amount, the mechanical strengths and load bearing capacity of cemlite® may be substantially reduced. 32 megapascals (MPa) or 4500 psi approx at 28 days after setting at 23°C (28 days moist cure plus 7 days air cured ie 35 days). cemlite® white powder composite material is packed in moisture proof plastic coated paper sacks (bags) of 20kg net. The setting time of a particular volume quantity of cemlite® depends on the prepared mix volume and particularly its temperature. As an example, a standard 20 kg bag quantity of cemlite® to make a liquid mix volume of 19 litres when intensively mixed into 5 litres of water will set in about three (3) hours at a temperature of 23°C and an RH of 50%. Smaller quantities will take longer to set whereas larger quantities will set proportionally faster at this same ideal temperature. A faster setting and higher earlier strength hardened white product having important extra features called cemlite®HE (High Early) powder is available from Ability on firm advance order at a substantially higher price. A similar volume (20 kg) of the 'HE' product when thoroughly mixed into the recommended proportion of clean, drinkable water (a different preparation to normal cemlite®), sets in about 120% less time than normal cemlite® at the same temperature. Compared with normal cemlite®, cemlite®HE has higher earlier and ultimate strengths, higher wear resistance, lower shrinkage, exceptionally high fire retardancy and high resistance to heat and chemicals. Test reports from Amdel Limited, an independent materials testing laboratory, are available upon request. cemlite®HE powder must NOT be mixed with normal cemlite®, pre-mixed concrete or any other mixes containing Portland cement, quicklime or hydrated lime.